It’s been almost six years since the Deepwater Horizon oil rig in the Gulf of Mexico blew up on April 20, 2010, setting off a chain of reactions that led five million barrels of oil to spew into the gulf before the well was finally capped. Sixteen-year-old Olivia Bouler of Islip had spent her childhood vacations with her grandparents along the Gulf Coast. An avid birder who was then just 10 years old, she was horrified to see the birds she loves coated in oil. Next Saturday, April 16, Olivia will lead a wildlife drawing workshop at the Old Town Arts & Crafts Guild at 28265 Main Road in Cutchogue. Her presentation will begin at 1 p.m. and will be followed by a reception with a book signing, music and refreshments beginning at 3 p.m.
Arts & Crafts Guild President Bob Kuhne said Guild member Ginger Mahoney had seen Olivia speak a few years ago, and was greatly influenced by her message. “She’s a very inspiring young artist,” he said, adding that the Guild has reached out to other young North Fork nature artists, whose work will be on display the weekends of April 17 & 18 and April 23 & 24 as well. The exhibit also includes local nature photography. 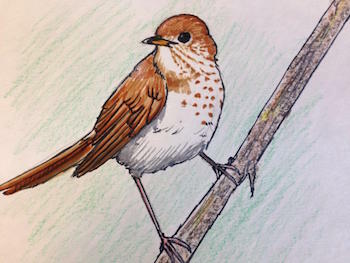 One of Olivia Bouler’s many bird illustrations. 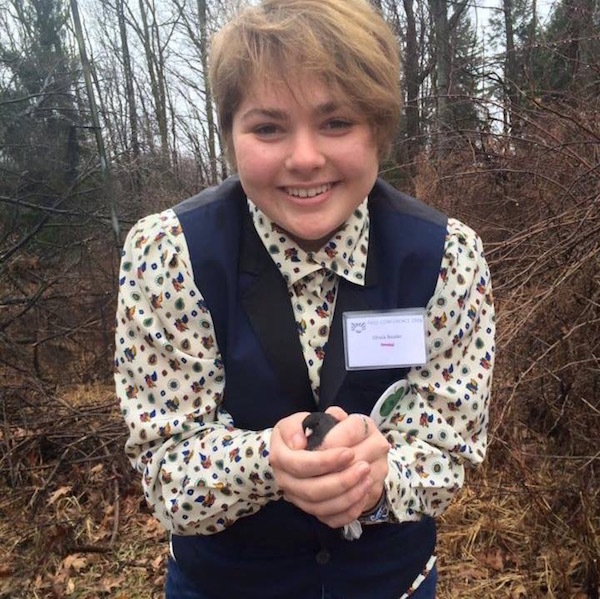 Since she began drawing birds for the Gulf, Olivia has traveled the country as a an advocate for youth activism and the natural world. It all began after her grandmother, Jane Bouler, sent information about her project to a local newspaper in Alabama. 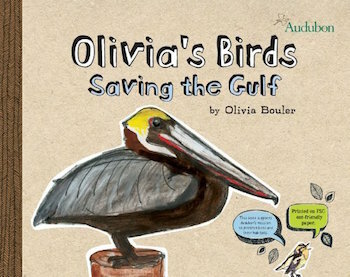 Over the past several years, Olivia has become a regular writer for The Huffington Post‘s Teen section, has received fan letters from former President Bill Clinton and First Lady Michelle Obama, has met the Obamas at a Christmas party in Washington, D.C., has won the Audubon Artist Inspiring Conservation Award and has been honored by the US Fish and Wildlife Service. She has rung the closing bell at the New York Stock Exchange and has hosted her own White House Champion of Change round table discussion with environmentalists. Olivia has been drawing ever since she could hold a pencil. She became interested in birds when she was four years old, after going through a dinosaur craze phase and realizing that birds are the closest thing to dinosaurs still here on the earth. Olivia is also working to master the alto saxophone, and like any good ornithologist, Charlie Parker is one of her biggest influences. While her life has calmed down somewhat from the early days after the oil spill, Olivia, now a junior at St. John the Baptist High School in West Islip, is still working to advocate for engaging students in their education. “I’m a high school student. I know what kids like. I have to go to school,” she said. She now spends a lot of time volunteering for Seatuck Environmental Association, and hopes to attend the School of Atmospheric and Marine Science at Stony Brook University. “It’s such an amazing atmosphere, and everyone seems like a big family,” she said. She does know that, wherever her education takes her, it will be rooted in the lessons she learned along the Gulf Coast in her childhood, of her grandmother telling her about when brown pelicans became endangered, about the great blue herons she would see in the morning mist along the coast.